SHEPHERDSTOWN – “On the Wall,” a photographic essay of people of Shepherdstown, will be published as the commemorative book for the 250th celebration of the town’s incorporation. 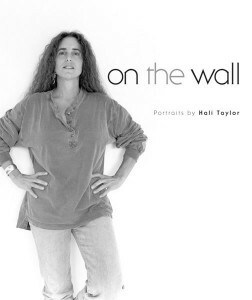 The book is the work of noted photographer Hali Taylor, longtime resident of Shepherdstown and librarian of the Shepherdstown Public Library. The Shepherdstown 250 Committee said it is pleased to support the publication of the book, which will include more than 80 photographs of citizens of Shepherdstown. Taylor has more than 700 photographs in her portfolio, which she began in 1985. The photographs included in “On the Wall” are a cross sampling of the people of Shepherdstown: “… old-timers, newcomers, the many ‘average’ folk who sometimes are anything but,” Taylor said. “On the Wall” is $41.50 plus tax. More information is available by contacting Four Seasons Books at 304-876-3486 or 4seasons@citlink.net. From 1 to 3 p.m. Dec. 11, there will be a book launch reception and book signing at The Bridge Gallery, 8566 Shepherdstown Pike, Shepherdstown.